I've got Navigraph setup correctly to update the AIRAC cycle but I have a question. With the Navdata & SidStars Folders being in two separate folder, does it read those files aswell when I Update the AIRAC Cylcle ? EFB does show the current Nav cycle but I was unsure. Again apologises for asking this question.Maybe I should read the Manual aswell to learn some more of the using of EFB. 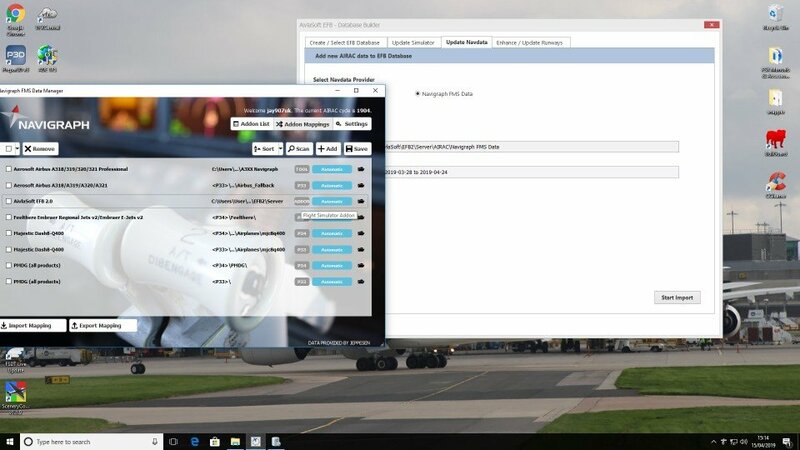 you are showing folders and files from the EFB v1 Navdata. Download and run navdata for version 2, then run the "Update Navdata" function from the Database Builder. Thanks for your reply. I've enclosed a picture of the Database Builder showing the Data folder and the cycle information , also a picture for my setup for Navigraph which it installs the AIRAC cycle automatically. I'm confused as to what you mean? As I thought the cycle was for version 2 I was using? Or is my setup wrong somewhere. as far as I can see from the pictures, the setup seems to be correct. I was just pointing out that the screenshots in your first post are showing navigation data from version 1. It is using two folders and it is using text files. Version 2 does only require one folder and version 2 is using binary files. The paths on your second screenshot point to the version 2 folder. Thanks again. 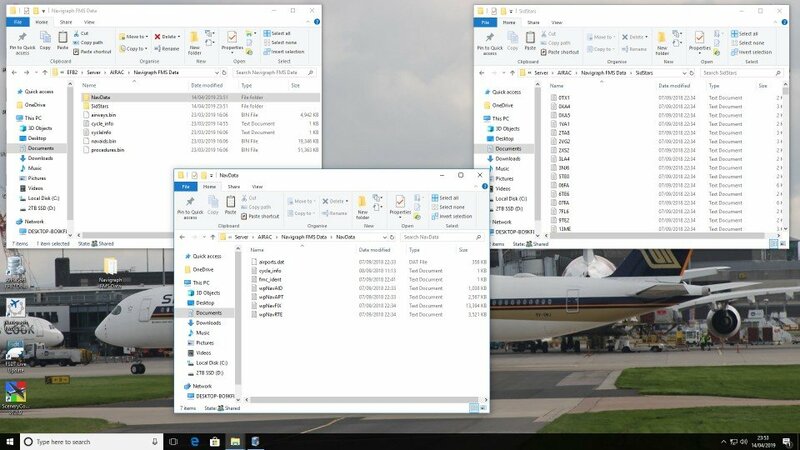 I'll delete the Navdata and SidStar folders which are from the old version. So am I right in saying that the SidStars , fixes is part of the procedures.bin file.